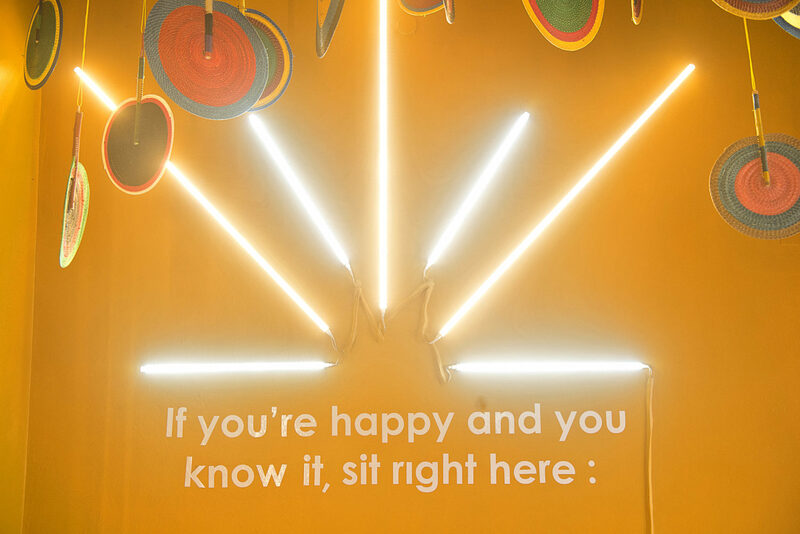 “See the art but engage with it.” That’s the core rationale behind Sao and the Muse 3, a pop-up curated by Nicole Asinugo. 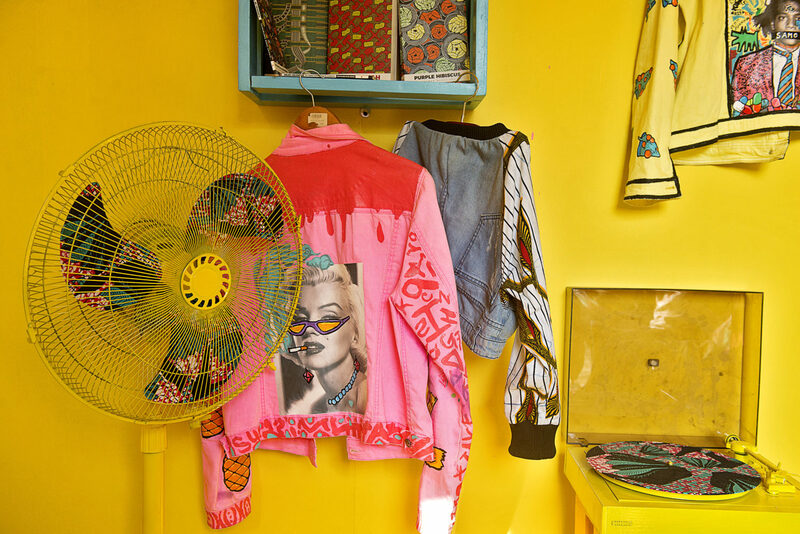 The rooms were designed by emerging contemporary artists, in collaboration with other creatives like fashion stylist Jane Michael Ekanem . Check out a few short profiles of the collaborations to expect and experience at Sao and the Muse 3! A yellow painted room with a breath taking installation of classic handmade fans adorning the ceilings. This room was like the picture focal point of the event with a halo of lights photo wall that everyone who came across had to get a photo op there. 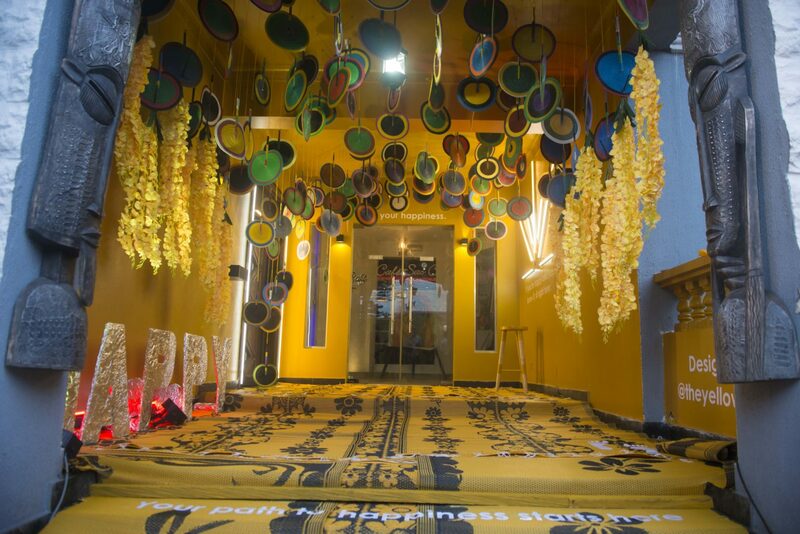 The mood of the room was light, playful and fun and the yellow evoked a warm feeling of happiness, love and light. 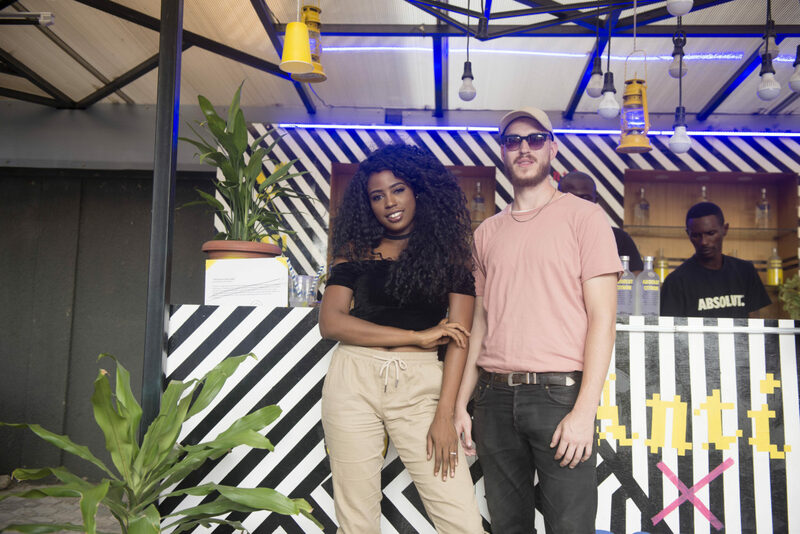 The Yellow of Lagos a multifaceted art and travel company, creates one-of-a-kind artistically built immersive experiences focused on celebrating the history, culture and transportation DNA of Lagos, the world’s fastest growing mega city. 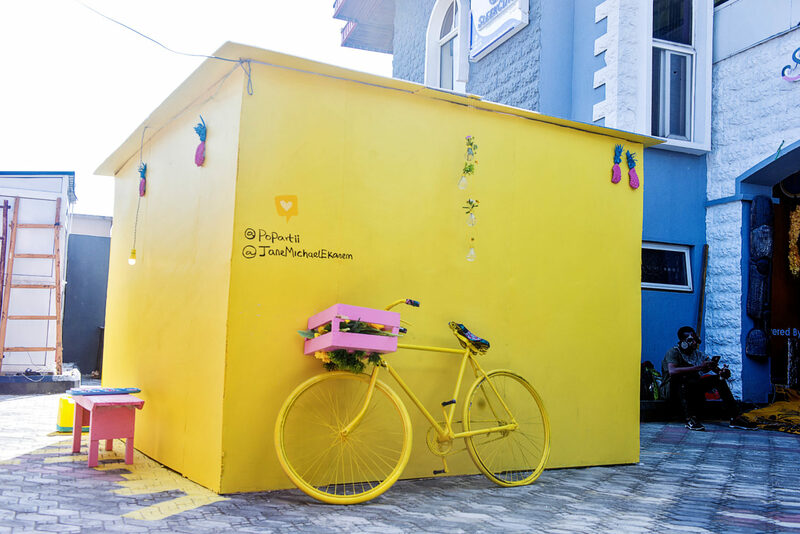 The Yellow of Lagos’ installations come laced with a message of hope – expressive of the energy and optimism of the people of Lagos itself: united in diversity, bound by the common dream that no matter how difficult things are today, one day, our hustle go pay. Learning about culture that is your own through your art can be freeing. Using your art as a doorway for the freedom of the soul is to pay due respect to the cultural facets at its core. Aye! & Williams present an audio-visual piece that merges African & Global sensibilities – dropping you off where space & time are negligible. This is Infinity Via Africa. Aye! is an Urban artist with a formal degree in Music Engineering & Production. 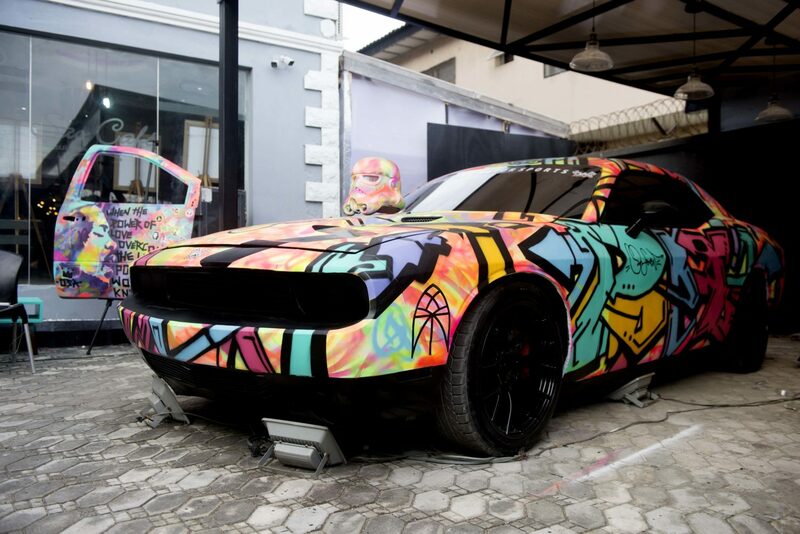 Having lived in Lagos city for most of his life – his work uses aesthetics & methods that city dwellers would call ‘familiar’. Aye! is the founder of The Village Sound-System; a movement that believes in the unification of cultures through art. Aye! has pursued this concept professionally through Dj-ing & music production since 2014. This year at Sao & The Muse he broadens his methods through songwriting. Williams Chechet as an artist explores the fusion of pop art and indigenous African imagery to create something entirely and spectacularly otherworldly. By superimposing new ideals and traditional images, his series of collages conjure visions of futuristic fantasy stories. In his words “My method is mainly inspired by Pop Art. I love colors and like to tell stories through my art. My primary interest in art is that of visual stimulation and emotional reaction to complexity. I believe the role of an artist is to inspire and educate people. I believe history is a vital part of humanity. 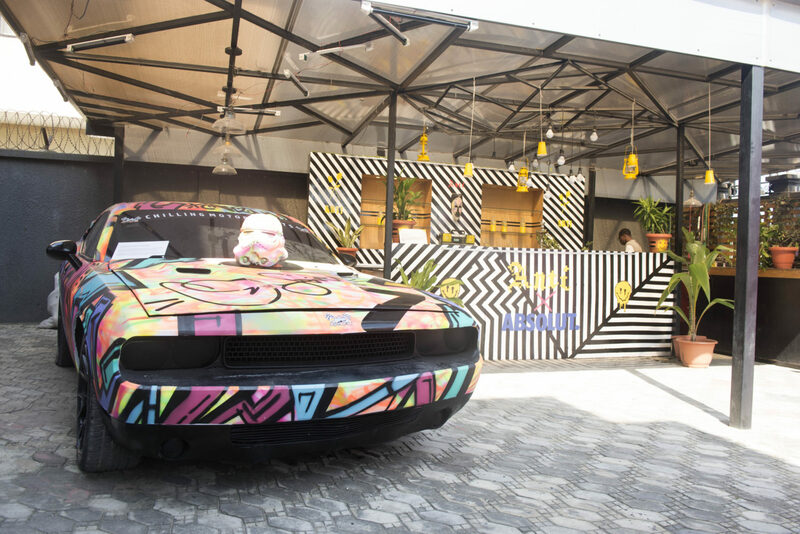 Ulọ is a post-modern art installation inspired by the Nigerian vintage style of living. This visual re-imagination of a living room transforms every ‘junk’ household material into a minimalistic aesthetic. In Ulọ, even the most mundane of items takes on a new significance, inviting you the viewer into a world where beauty’s roots run deep and where even the humble Ankara fabric provokes a discourse on old versus new mentalities. PopArtii is an urban fashion brand with art as its focal point, our mission is to bridge the gap between art and fashion in the Nigerian industry by using recycled vintage wears to create statement pieces. Applying the tenets of pop culture, PopArtii uses art to explain its generation attitude. PopArtii mural is a subsidiary that provides artworks on walls. Jane Michael Ekanem is a celebrity fashion stylist, designer and fashion entrepreneur with a capacity for unraveling fashion – related problems. With over 10 years of fashion enterprising, her expertise spans styling for music videos, magazine covers, campaigns, runways and weddings. Head Designer and Creative Director of the JaneMichael Brand, Jane Michael Ekanem who is also a Ted-X alumni is part of a movement of fashionpreneurs with a goal to revolutionize homegrown quality of designs, creativity and ultimately, the business of fashion.